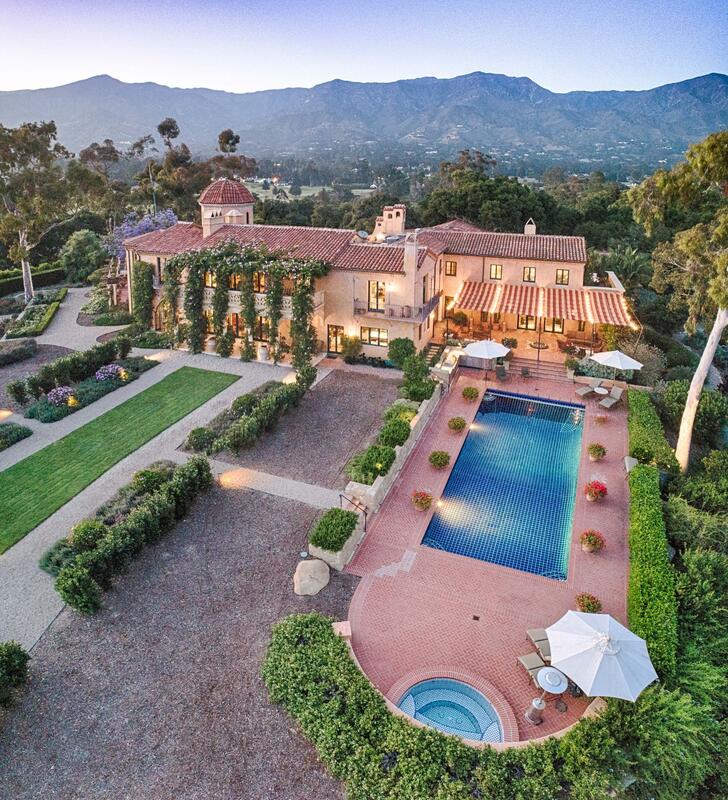 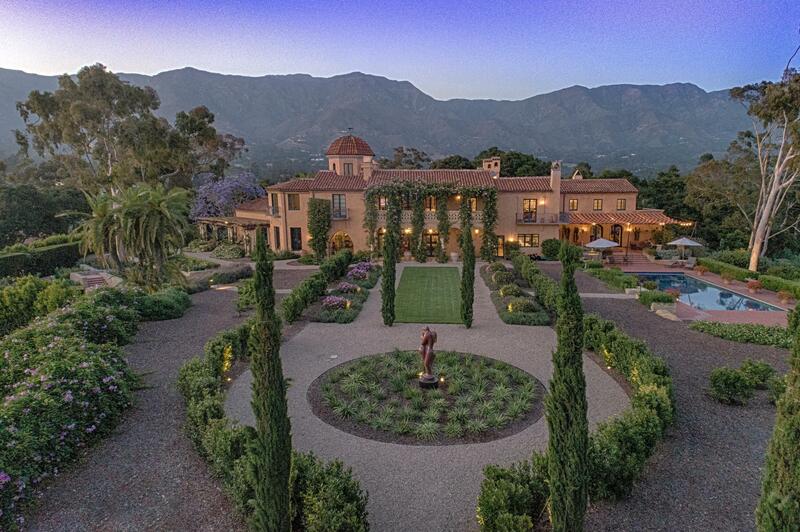 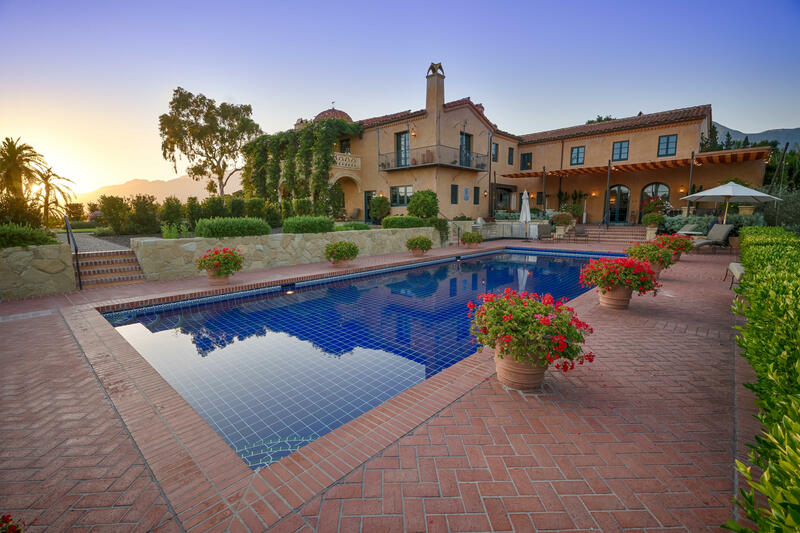 Sitting on a knoll in the private Ennisbrook neighborhood of Montecito, this luxurious 6-bedroom Andalusian Estate is set on 3+/- acres of mature oaks, meticulous landscape with a stunning rose garden. 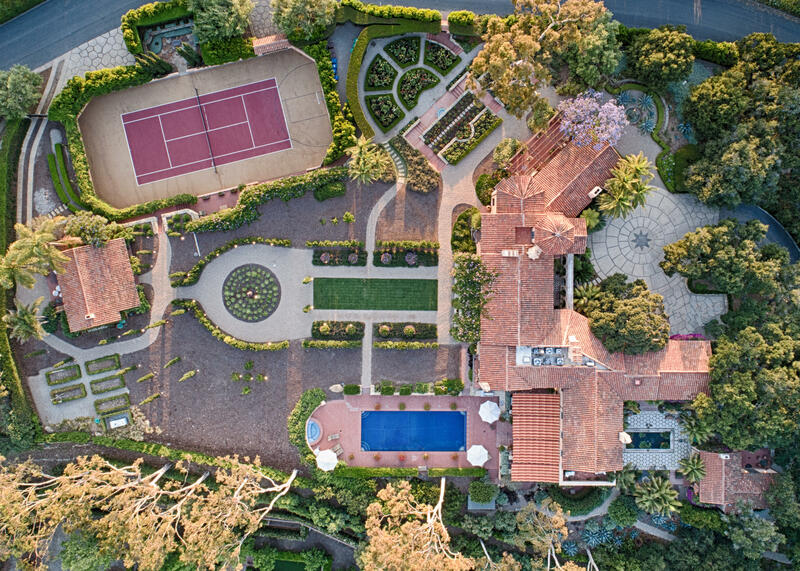 This unique home features handcrafted European details throughout, hand carved doors and ceilings, tile and stone imported from around the world, guest house, theater, gym, detached office, large tiled pool and spa, tennis court with pavilion, and multi car garage. 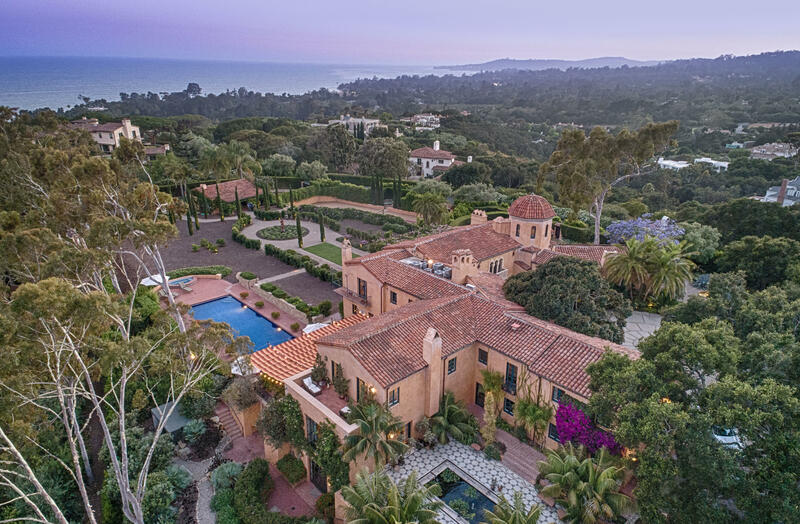 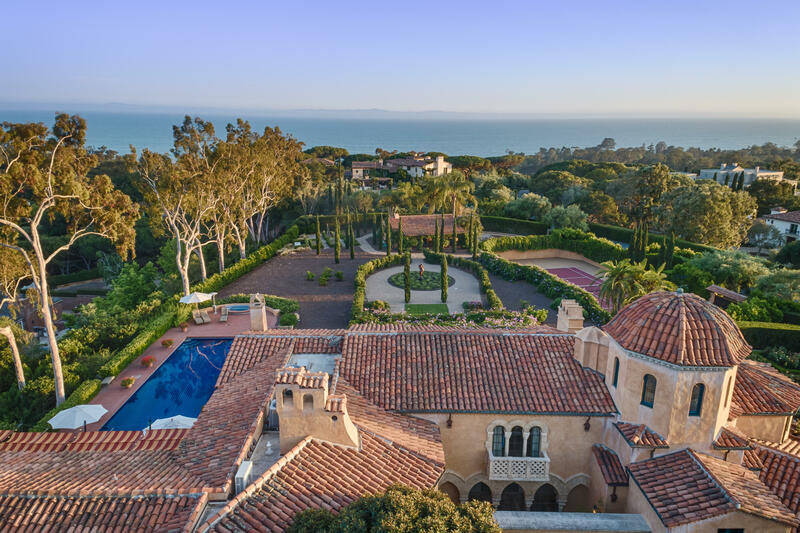 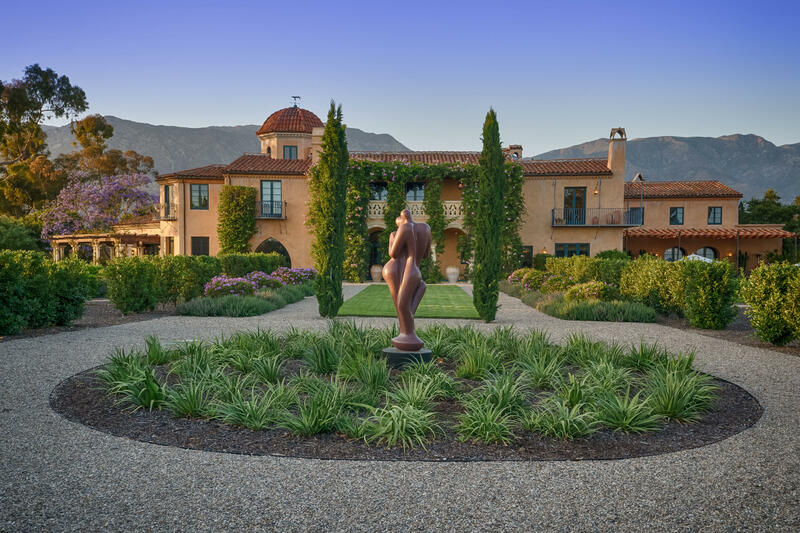 This home offers resort-like living, with total privacy and spectacular 360-degree ocean and mountain views, set in the heart of Montecito. 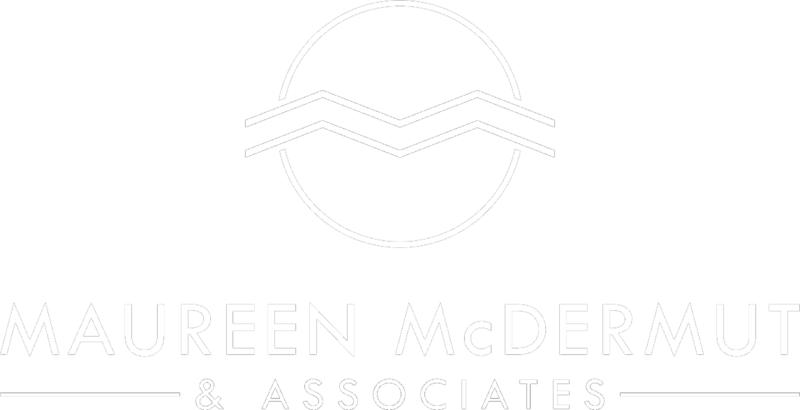 Available monthly or longterm.